Copywriting is the most important aspect of marketing. Why? Because, when done correctly; online copywriting communicates, informs, persuades and converts. Not only should your copy and content reach your prospects on a personal level it should position you as the obvious choice. It’s virtually impossible to communicate effectively with people you know nothing about. So, before the first word is written, we spend a great deal of time with research and information gathering. This is just one reason copy from Marketing Words is more than text on a page. It's a strategically crafted means for getting better conversions and higher search engine rankings on Google, Amazon, eBay & more. Amazon Standard Product Descriptions – The more crowded the Amazon marketplace gets the more imperative it is that you have copy that differentiates you from the millions of other sellers. Whether you're a manufacturer or you private label products, we craft product copy that adheres to Amazon's terms of service while compelling customers to click your add-to-cart button. Amazon EBC Product Listings – If you have been approved for Amazon's Brand Registry, you can take advantage of Enhanced Brand Content pages which include expanded copy and images. Amazon Review-Request Follow-Up Emails – Need a legal way to get genuine Amazon reviews? We craft follow-up emails like nobody else. Stop using a tired, worn-out (and ineffective) email template. Upgrade to custom-written, after-purchase review emails customized for your specific products. Blog Post Writing – Quality trumps quantity when it comes to blog post and article writing. Long gone are the days when simply having massive numbers of blog posts made any difference. Site visitors and the search engines now demand quality, well-written, in-depth blog posts in order to be successful. Marketing Words has created blog posts that repeatedly appear on such powerhouse sites as Unbounce, Site Pro News, The Future of Ink, Wordtracker, Duct Tape Marketing and more. When you want blog posts that inform, impress and engage new customers, we deliver. Landing Page Copywriting – Landing pages are unique creatures with their own set of rules. If you want success from your PPC, banner ad or email campaign, you have to craft landing page copy that works with the ad, captures attention in an instant and makes it abundantly obvious why the visitor should take the action you want them to take. Marketing Words nails it so you see higher conversion rates. Video Copywriting – Product demos, company intros, FAQs, case studies… these and many other types of videos are being used with amazing results online. When you want to capture your share of the video marketing phenomenon trust Marketing Words to develop video copywriting scripts that visitors can't take their eyes off of. Search Engine Optimized (SEO) Content Writing – Think search engine copywriting is all about shoving keywords into text? Hardly. Things have changed drastically in the last few years. Find out our complete process for creating copy that impresses both the search engines AND your site visitors with expertly written, natural-sounding search engine content. Ecommerce Copywriting – Differentiation is the curse of ecommerce resellers. It is vital that visitors immediately see why they should buy from you instead of the millions of others who have the same/similar products. We don't just describe your products. We take time to position your company in such a way that customers understand the value of buying from you. 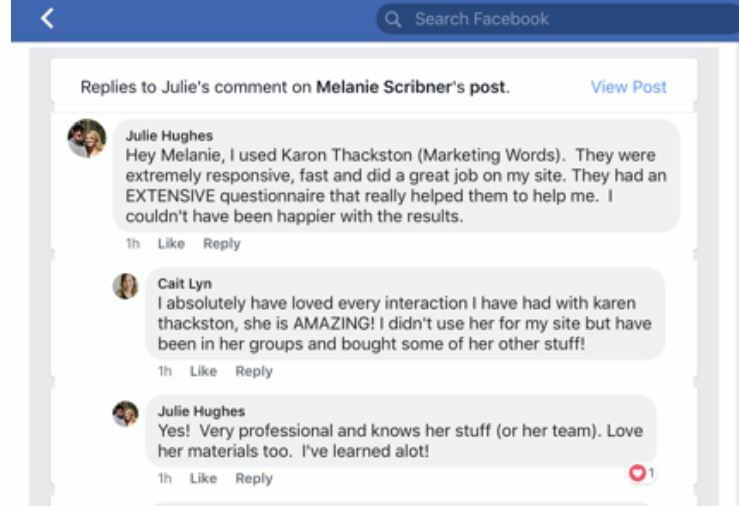 Onsite or Online Copywriting Training – Custom training is available both onsite at your physical location and online using Go to Webinar or Google Hangouts. Copywriting training can be designed in lecture format or as a hands-on experience where your writers can learn and implement their new skills. DIY Copywriting Ebooks & Video Training – Self-paced, high-quality and affordable means for getting the expert training you need on a wide range of copywriting topics. And More – Need online copywriting for content marketing funnels, lead generation funnels or other types of online writing? Just ask!